The Cleaning Consultants cleaning company prides itself on the details and specifics of the job and focuses on quality rather than speed. We can create custom cleaning deals to fit every need. Our cleaners come prepared to talk to you about your needs, and are equipped with cleaning checklists to ensure the job is completed correctly, and a "to-do" list to complete the initial walk-through process where each request and special instruction is written down and adhered to as part of the cleaning! Making sure we leave a home clean and comfortable for the whole family is our mission. Let us take the cleaning stress off of you! We contact the customer to find out what we can do to help them understand our process, pricing, and availability. We then set up a time for a cleaning that is acceptable to the customer. When we arrive, we conduct an initial walk-through and take notes during the process to ensure that the needs and concerns of the customer for their cleaning request are adhered to. The Cleaning Consultants has been providing excellent cleaning service in the Twin Cities metro areas for over 4 years! 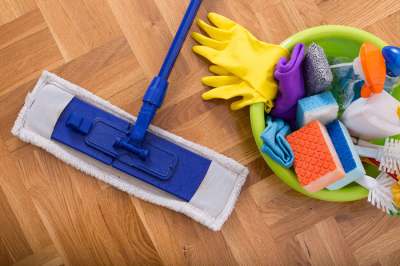 The Cleaning Consultants offers flat-rate pricing so that there is never a hidden fee or surprise up-charge for extra time or extra square footage!